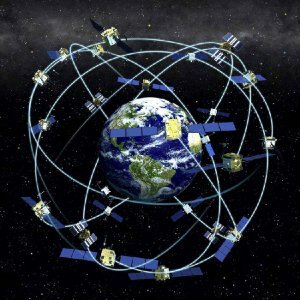 Global positioning system or most popularly known as GPS was created exclusively for the military until it was publicly introduced during the 1980s and become fully operational by 1995. It needs a network of satellites which provides the precise location, time and even weather data for personal, commercial and military purposes. Users receive the data through a GPS navigation device, otherwise known as GPS receivers. You may find this on your smartphone or your local electronics shop. All GPS units are capable of providing precise data regardless where you are in the world. However, they do vary in terms of features. So if you are a business owner who owns a fleet of vehicles to monitor or an individual looking for a reliable gadget to help you with directions, then, a GPS device will definitely be useful for you by using a GPS real time tracker. Long ago, our ancestors look to the stars for directions. Now, we don’t have to look at the skies as satellites that circle the earth send out data to GPS units, which is always listening to analyze sent signals. The GPS units, in turn, calculate how far they are from these satellites and help determine the user’s precise location they are from doing so. You can then find this information as shown through the screen or application of the GPS unit. The name speaks for itself! Lightweight and can be slipped in small compartments. Small as it is, the pocket GPS is more costly than portable units. This is especially convenient for those who travel a lot either by vehicle or by foot. These are not pocket-sized and usually, it measures about 4 inches in width and weighs about 10 ounces. Travellers can simply attach this to a pet’s collar, a bag or a backpack or a car’s compartment. Perfect for those who have an active lifestyle. Joggers, cyclists, marathon runners all take advantage of its wristwatch like design. Nowadays, this type of trackers keeps on evolving with features ranging from measuring pacing, steps, how much calories are being burned and the distance covered. This practically is the most advanced type of GPS. This includes a marine database and it detects sound signals, even buoys.  Practically speaking, the GPS device to look out for should be reasonable and has actual good customer reviews is to us a using a online GPS tracker. You can also try new brands as they usually come with a trial period and reimbursement is given if you encounter issues or not fully satisfied. Global positioning is most especially useful in the transportation and trucking industry as GPS tracking is fastly becoming a crucial part of a safer, practical and more efficient vehicle fleet by using a online GPS tracker software. Since the 1970’s The GPS network has already been operating by relying on signal telemetry beamed from space satellites. Devices are approved by the FCC, you can check to see what kinds of devices are approved by a simple search. So how does it operate? By sending transmissions between these satellites and a receiver that determines where the receiver unit is situated, coming from the signal distance. The US government created and maintained GPS solely for military purposes. Today, the global positioning system is available to anybody with a GPS receiver. This simple and reliable technology is used in GPS fleet tracking to establish and determine the position of vehicles.